What better than sprinkling flakes of aromatic vanilla all across your space? 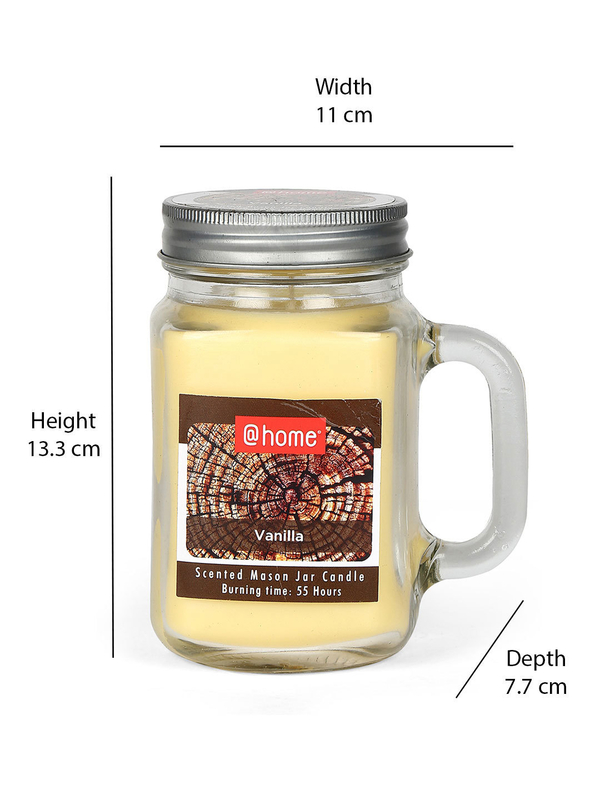 The Vanilla Scented Jar Candle comes in a set of 3, it is sure to elevate the mood just as much for you to feel cozy and at ease. The exterior of the candle is firm and sturdy, making maintenance an easy deal, the high-quality wax and wick, making the burn out time longer than the usual ones. Enlighten the corners of your house with the flavourful Vanilla Scented candle that’s sure to make your evening a memorable one.